Researchers have used 3D printing and artificial flowers to find out exactly how a type of Dracula orchid deceives flies into pollinating it, by pretending to be a mushroom. The shade-loving, tree-dwelling species, Dracula lafleurii, can be found in the cloud forests on the slopes of the Ecuadorian Andes. It often grows close to mushrooms, and resembles them in shape, colour and scent. This Dracula orchid is pollinated by small drosophilid flies normally associated with mushrooms – in mimicking the mushrooms, it is recruiting flies to help it to reproduce. The question is: is it the looks, or the smell? Flies visiting a Dracula orchid. Photograph by Bitty Roy. 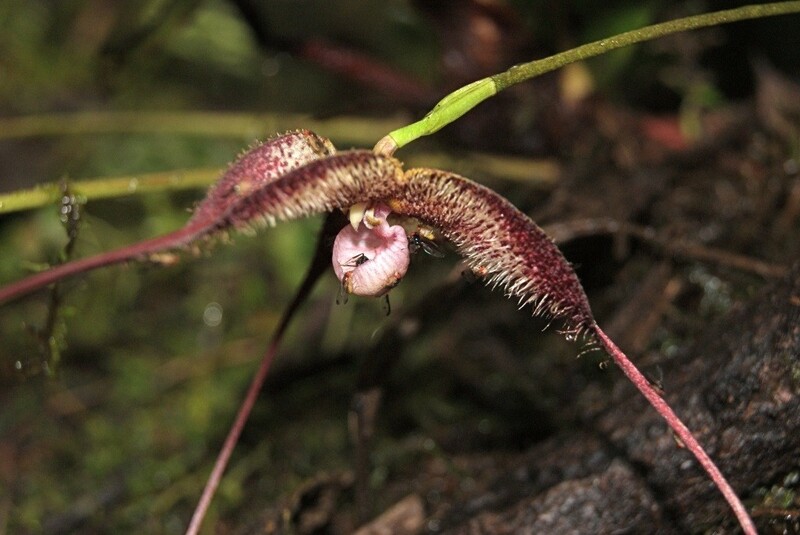 New research published in New Phytologist shows how, by mimicking the mimickers, scientists have been able to untangle the visual and scent components of the Dracula orchid’s appeal to figure out what makes them so good at fooling flies into pollinating them. Using 3D printing to make realistic artificial flowers, which were colour matched and made of surgical silicon to which scent could be added, Tobias Policha and colleagues experimentally separated the cues used by the Dracula orchid to lure in flies. 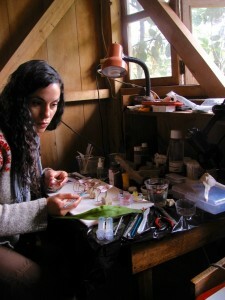 Melinda Barnadas creating the prototypes for the artificial flowers used in the study. 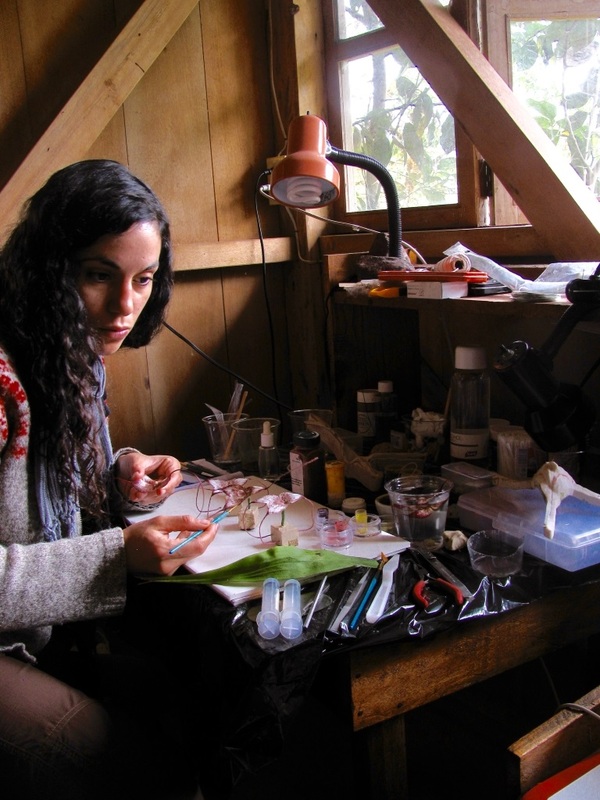 Temporary studio located deep in the Ecuadorean cloud forest at Reserva Los Cedros. Photograph: Melinda Barnadas. The researchers found that two particular features of the Dracula orchid – its mushroom-like labellum and showy, patterned calyx – worked together with its mushroom-mimicking scent to attract flies by exploiting their visual and chemical preferences. In doing so, it ensures regular visits and pollination by the flies. This entry was posted in Latest Posts, New Phytologist and tagged 3D printing, Dracula lafleurii, Dracula orchid, Ecuador, New Phytologist, plant science, pollinators. Bookmark the permalink.